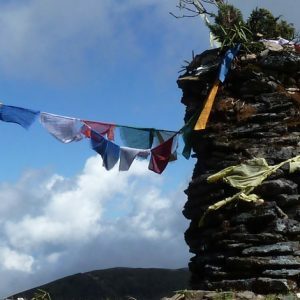 This is one of the most challenging treks available in Bhutan and route partially overlaps with the trail of the legendary Snowman Trek, the most difficult trek in the world. This gruelling nine day journey will take you up to the Duer Hot springs, arguably the most beautiful hot springs in the Himalayas. The trail has numerous steep ascents and descents and ranges from altitudes between 3000-4700m. 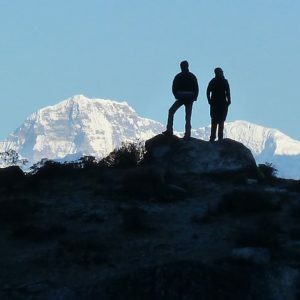 However, despite the difficulty this trek is well worth the effort as it will take you through some of the most beautiful landscapes in Bhutan. 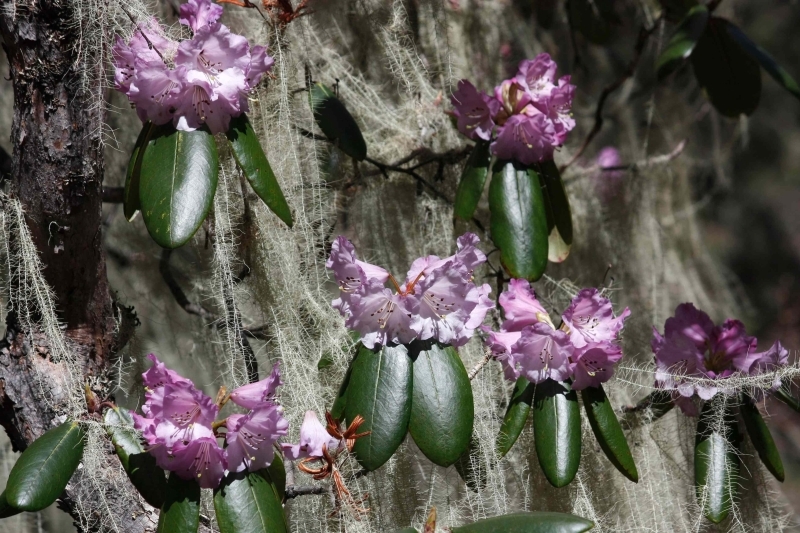 You will journey through forests of spruce, hemlock, juniper and maple, through regions populated by herds of Blue Sheep, Musk Deer and even Himalayan Black Bears. An entire day will be dedicated to resting in the hot springs. The periods between March to April and September to November are the best times to take on this challenging route. 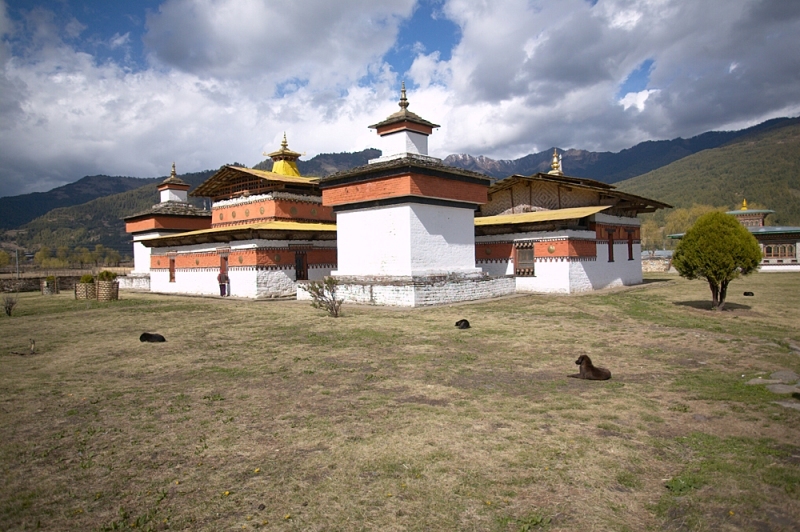 Upon arrival at Paro International airport, you will be met by your guide..
After lunch, we will visit Drugyal Dzong (a ruined fortress), 16 km away from Paro. Although it is now in ruins, this dzong has great historical importance for the people of Bhutan. It was a place where the Bhutanese finally defeated the Tibetan invasion. On a clear day one can view sacred Mt. Jomolhari (Mountain of Goddess). We will also visit Ta Dzong (built in1656 and renovated in 1968), an ancient watchtower, which now houses the National Museum. Below the museum is the Rinpung Dzong (literally meaning “Heap of Jewels”), the centre of civil and religious authority in this valley, built in 1646 by Zhabdrung Ngawang Namgyal. 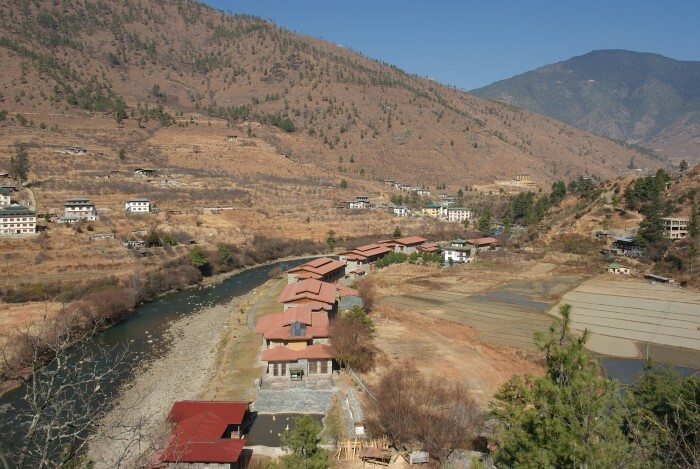 Today, drive to Punakha via the Dochula Pass (3,140 m). On the way stop to see the spectacular array of chortens, to enjoy the superb view over the snow capped Himalayan Mountains and also to the Gasa Dzong at a distance if the weather is clear. 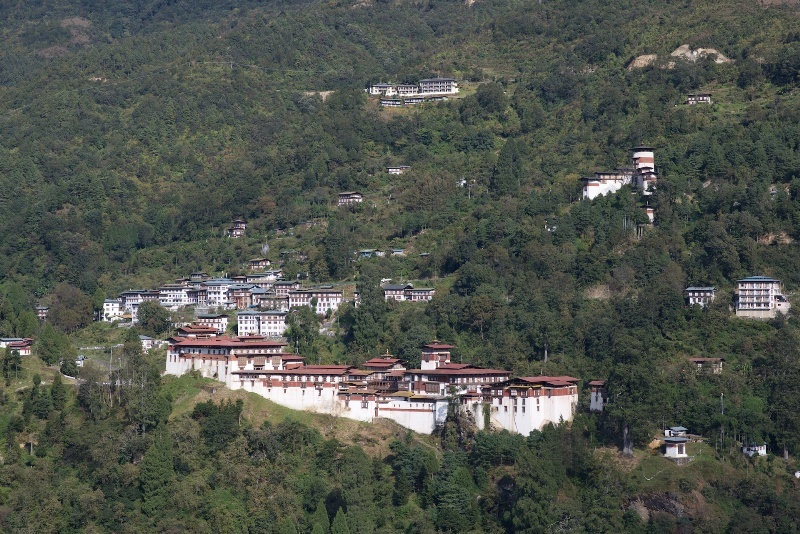 After an early breakfast, drive about 7km from Punakha town and after crossing the suspension bridge over the Mochu River, it takes approximately 30-45 minutes to walk to the Khamsum Yuelley Namgyel Chorten (Stupa) which is perched on a strategic ridge overlooking the nearby villages under Kabisa geog. It was built under the sponsorship of Her Majesty the Queen Mother Ashi Tshering Yangden Wangchuck to remove evil forces and promote peace, stability and harmony throughout the world. 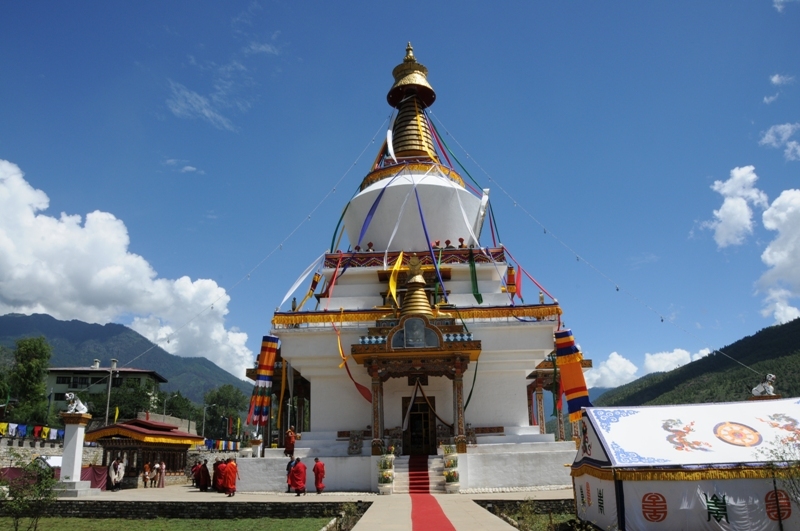 As the first of its kind in the world to have been constructed the details and the architectural designs were drawn from scriptures as visualized by Dudjom Lingpa. Then drive to Trongsa via Wangduephodrang and later passing through Pelela pass at 3,300m, the traditional boundary between east and west. The trek route follows the Yoleng Chhu, a river known for its abundance of trout. 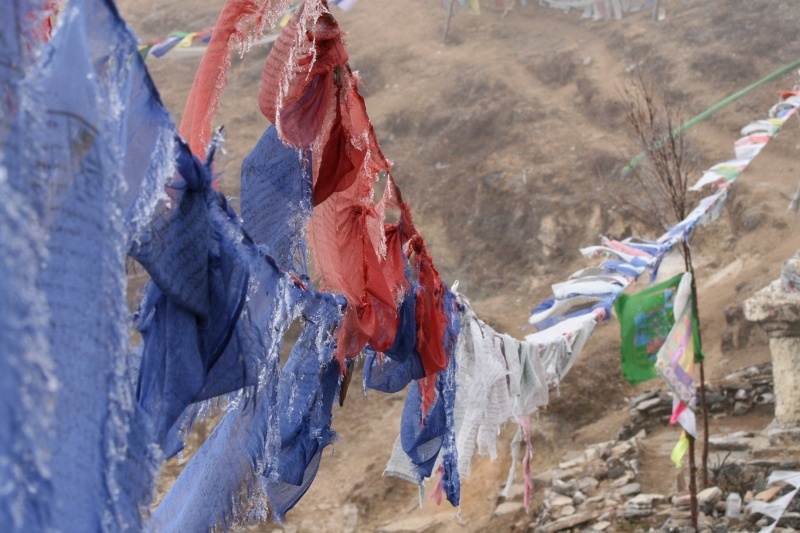 The trail from Bumthang to Gorsum is a gradual climb. Dinner and overnight camping at Gorsum. The trail leads through a dense forest of Spruce, Hemlock, Cypress, Juniper and Maple. It ascends gradually to the campsite. Dinner and overnight camping at Lungsum. The vegetation along the route is similar to places crossed the previous day. Near the campsite the vegetation thins out and the camp is made above tree line. Dinner and overnight camping at Tsochenchen. 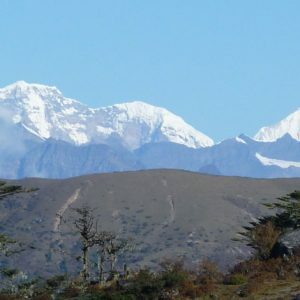 The trek from Tsochenchen is uphill all the way until Juli La pass (4,700m). If the day is clear, you will have a great view of the surrounding mountains from the pass. After crossing the pass, the trail descends to a lake at 4,220m, and then climbs again to Gokthong La pass (4,640m). From here the path is steep descent until the campsite. Musk Deer, herds of blue sheep and Himalayan bears are sometimes seen along the route. 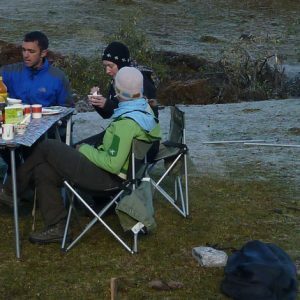 Dinner and overnight camping at Duer Tsachu. As the highlight of the trek, today will be spent resting at the Duer Tsachu. 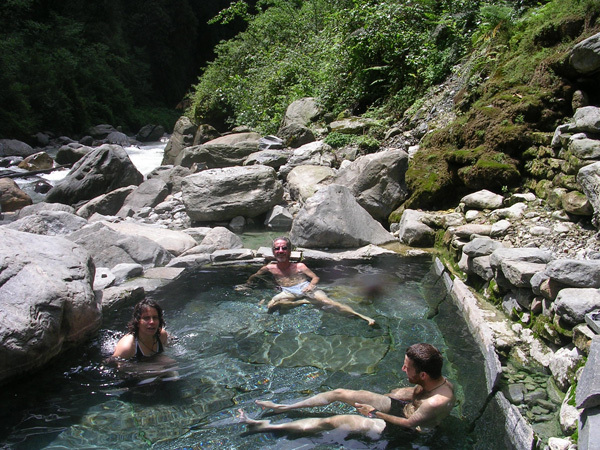 After a late breakfast, relax in the rejuvenating hot springs or take a leisurely hike around surrounding areas. Return by the same route taken on the day four. The journey will be even tougher than before as there is slightly more climbing than descending. Return by the route taken on day three. The trail descends gradually from the campsite. It leads through dense forest of Spruce, Hemlock, Cypress, Juniper and Maple. From Gorsum the trail descends gradually until the bridge near Duer village, where you reach the road head. From here, drive through to Bumthang. 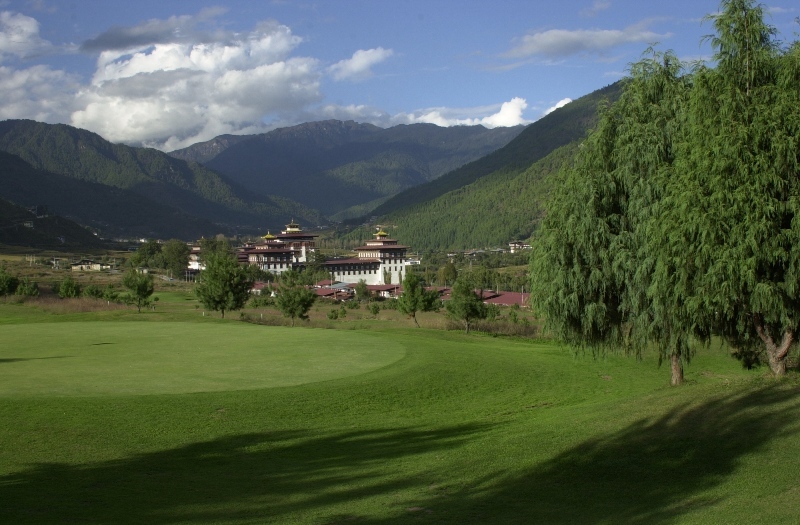 In the morning drive to Paro International Airport and your guide will accompany you to bid you farewell.